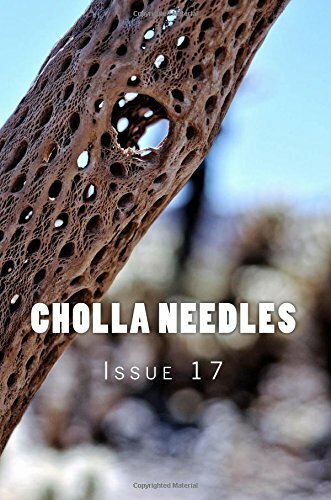 Cholla Needles - May Issue Released!! Tobi Alfier - Princess Bride or Blair Witch Project? What does “voice” mean to you? In my opinion, it’s what makes you recognizable. Not boring, comfortable. Just like the pink rose bush growing outside your neighbor’s window. It’s blooming now, it will be blooming through spring. You know you can count on it, just as you can count on a writer’s voice (or voices), regardless of the narrator, the point of view, or form of a poem. commented on the red painted inside your cupboards. My darling, pass the toast. I’m one day closer to going home. I’m not yet ready to go. Now pretend you meet your friend for lunch one day. You’ve known her for years, your friendship is a fact. She shows up with her formerly long hair cropped short, or a comet of stars tattooed on both wrists. She’s still your friend, but she’s done something different, bold and exciting. That is writing from the dark side. Enter Chuck. In a workshop led by the brilliant and generous Nick Flynn, he passed out a creepy postcard to each of us. Think Diane Arbus meets small-town circus. I got Chuck, a three-quarter headshot of an unsmiling dark-haired man, which looked taken through a shattered stained glass window. Nick said “take a poem you brought to workshop, and re-write it through the point of view of your postcard”. See what you think. Then give yourself permission to surprise the heck out of everyone, most of all yourself. It’s still you. Still your voice. You now have a new weapon in your poetry arsenal. Welcome to the brave, exciting, dark side. (Note: “Poste Restante” means General Delivery. It was a way to pick up your mail in the old days if you were traveling). Light or Dark, you decide. say breathe, focus on the pain. It will lessen, be more manageable. Make me remember to forget. You are a lover of the dark. I bend toward the light. to stay in the in-between. 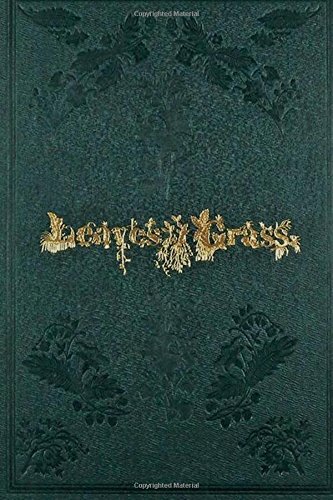 This is a copy of the first self-published copy of Leaves of Grass, published on July 4, 1855 in Brooklyn, NY. 795 copies were printed, although only 200 copies were bound with the green cover. 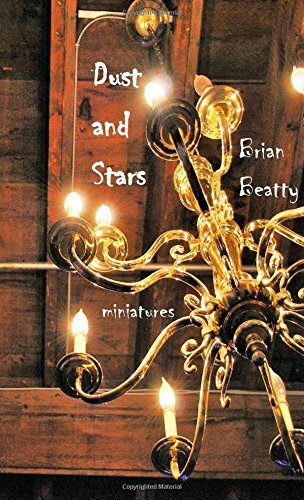 The author's name did not appear on the cover, although it does appear in the poem on page 31 in this edition. Walt Whitman continued to work on this masterwork until his death. Six more versions appeared during his lifetime, and after his death a “death-bed” version appeared. History buffs will know that the 1855 edition was printed six years before Abraham Lincoln became president. Later editions are important because of the poems Whitman wrote about the Civil War and Abraham Lincoln. This 1855 edition is a favorite of many poets because of the fresh energy in the presentation and language. This edition was gone over line by line to be sure the text is readable, and the line breaks closely represent Whitman's original intention. Also, the full 1855 introduction by Walt Whitman is included in this edition. 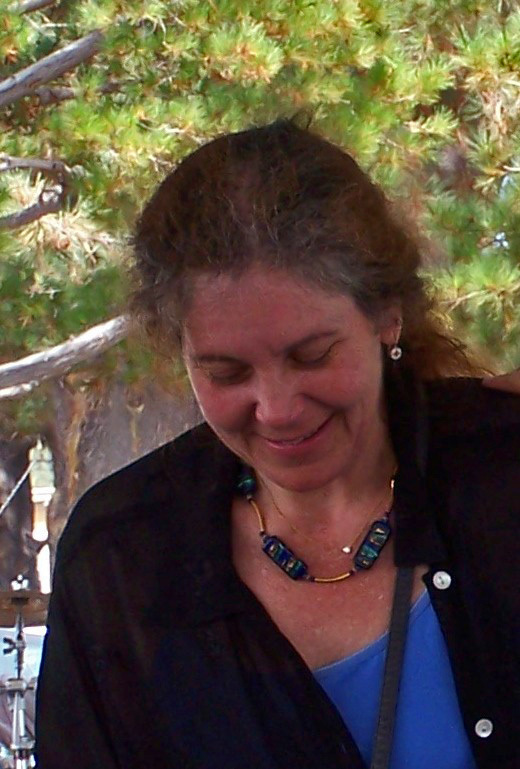 “Burro speed is just right.” It’s perfectly right for these nineteen poems by Lucy Griffith, dedicated to Judy Magers, the iconic Burro Lady who died at roadside near Sierra Blanca, Texas in 2007. In verse that evokes the rhythmical clop of hooves on asphalt, Griffith traces Magers’ quixotic life as “La Reina,” wandering roads of the thinly populated, arid region of Far West Texas where a swaying hawk becomes a manta ray in wide blue sky, where “a broke-in hat with a big brim” provides a roof. 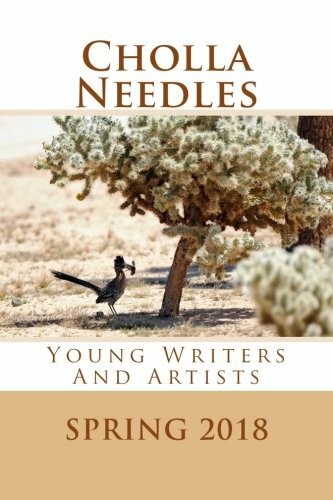 When a dust storm hits, the defiant Magers challenges it: “piss your grit at me/ and rasp my skin.” These poems are a testament to Magers’ independence, endurance, and love for her last burro, Merle. While she may be compared to a medieval pilgrim, a mere eccentric, or a female Don Quixote, readers are cautioned to respect her individuality in the poem “La Reina”: “do not lay your story over mine.” We won’t, thanks to Griffith’s inspired story-telling. A Burro and Broke-in-Hat is beautiful book about love—love of the stark and austere land and the remarkable woman who made her life in it. Lucy Griffith gets to the heart of the enigmatic Burro Lady, Judy Magers, who roams through West Texas, living her life on her own terms. She is determined to be self-reliant and independent, even seeking to pay the state for the grass her burro eats on the side of the road. In the Burro Lady’s voice, Griffith tells us that La Reina is “full of thousands of sunsets, and brimming with stars in a quiet so still, I hear my heartbeat.” We find her in this gorgeous collection of poems not only through the voice of the Burro Lady herself, but also those of who came to know her: her legal guardian, the narrator, a goatherd, even her burro and a yucca. 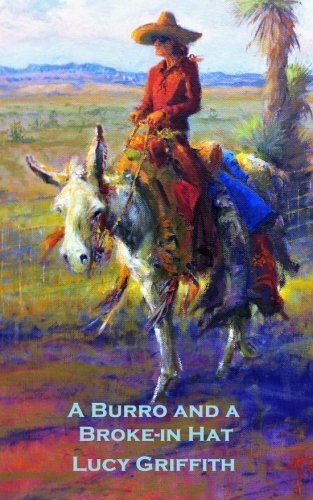 Lucy Griffith not only “paint[s] the wind for me,” but paints the Burro Lady alive with her imagery and deftly created characters. Heed Griffith’s words, “You are unbound; take your time,” as you enjoy this gorgeous book of poems. Sometimes poem triggers make a full frontal assault on all your senses. Sometimes they slyly creep up on you. There is no law that says you can only write one poem about everything you see or hear; that’s what a notebook is for. When words are ready to be written, pick the two or three most important ideas for each poem, then write one. Or two. Or ten. In my opinion, the last thing you want is to cram a poem so full of images, you suffocate your readers. You want your readers to have some breathing room, and the ability to become part of your poems. That’s what will keep them reading. When I was in Crete, I had the opportunity to visit the workshop of a famous bouzouki maker. It looked like a cross between a Quonset hut on an abandoned military base and an auto body shop; tin and unpainted walls, long plywood tables holding instruments in all stages of completion, wood shavings and cigarette ashes all over the floors, and serious, but smiling men all over. Each bouzouki looks different. Each one sounds different, and I was privileged to see the entire process. That day, while my friend was turning a horrendous shade of red on the beach, I drove by a canyon filled with the scent of wild sage, bought lemons at an outdoor market from a blowsy woman surrounded by handmade baskets brimming with citrus. She was beautifully tired, in a dress so old you could only imagine the flowers, I knew she would go home and wash her underarms at her kitchen sink with olive oil soap, watching out the window for her husband to come in from the fields. a couple of rickety chairs, a calendar from three years past. the bouzouki flirts and charms like a swami with cobra and clarinet. challenge this lovely beauty to tell its tales. than the one played on the souls of history. 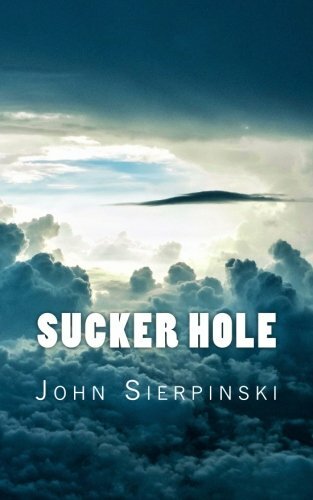 What I see in John Sierpinski's first collection of poetry is sublimity, symbolism, human ache, personal voice, a rich sparseness , and a tie to the reader that pulls the solar plexus -- an ache that resonates. His poem Museum Exhibit -- Titanic is vivid and temporal. The characters in the poem show, and do not tell, a story of history and the present. - Ellen E Baird, Editor of Howl Art and Literary Magazine. John Sierpinski has published poetry in many magazines, including California Quarterly and North Coast Review. He lives in Yucca Valley, California along with his wife, Lynn. He hiked though and loved Joshua Tree a number of years ago. "I find the beauty of this area, spellbinding. I am also delighted to find a poetry and writing community here." It began when Ken gave me a tour of his backyard studio, twenty years of paintings collected and ordered in a converted garage, now a living catalogue of one artist’s mind. This was only the second time I’d talked to him, but there’s an intimacy in art. You’re given a view into the center of the artist’s consciousness. That day, I saw maybe one hundred pieces, and I knew that his ways of seeing, thinking, and worrying were close to mine. We talked about the art and his impulses and soon enough our rambling conversation led us to Oppenheimer. We had both been thinking about the man for years. Ken had been painting visions out of the nightmare Oppie had created. I said something about how complex the man was. Ken responded with how he’d changed the world. I said the man had certainly shaped my childhood, my adulthood, the way I saw everything. We talked about evil and the limitation to the concept of evil. I found myself writing poems in conversation with Ken’s paintings. That was a little one sided, so Ken answered me with his poems. What we ended up with is this collection. As a writer and artist, Kendall Johnson is no stranger to mixing mediums. 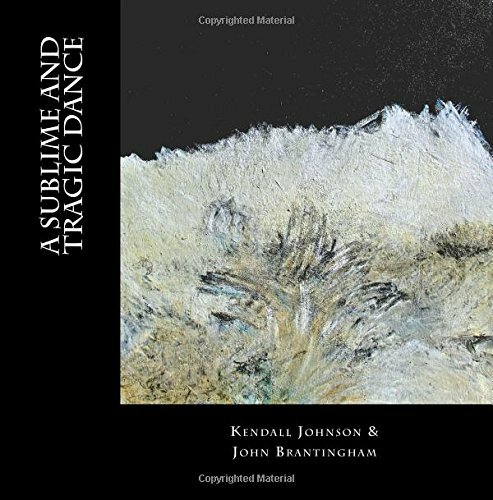 His prior books include Fragments; An Archeology of Memory published by the Inland Empire Museum of Art, and Johnson’s Pasture; Living Place and Living Time published by the Claremont Heritage. His paintings have been exhibited across the United States, and his composite photographs illustrate the novel In Cabazon. Kendall grew up in the citrus groves of Claremont, CA, fought fires and later consulted with the U.S. Forest Service and other emergency agencies in disaster stress management. As a psychologist and trauma specialist he has written several non-fiction books and numerous articles on trauma and school crisis. He trained crisis teams and rendered direct support following numerous school shootings, natural disasters, and 9/11. When disasters come on the news, his nostrils flare, he whinnies, tosses his head, and paws his hoofs on the ground as always, but nowadays he mostly writes or paints about it. He is the Director of Gallery 57 Underground in Pomona, and lives in Upland, California with his wife Susie Ilsley. John Brantingham is the first poet laureate of Sequoia and Kings Canyon National Park, the writer-in-residence at the dA Center for the Arts in Pomona, California, and a professor of English at Mt. San Antonio College. His work has appeared in hundreds of magazines including Writer’s Almanac, The Journal, Tears in the Fence, and Confrontation. He co-edited The L.A. Fiction Anthology (Red Hen Books). 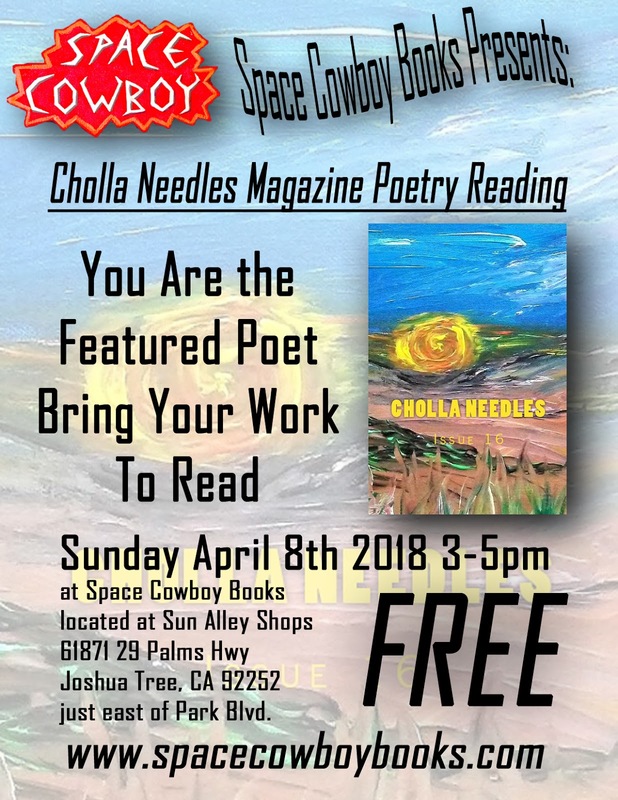 His poetry collections include East of Los Angeles (Anaphora Literary Press), The Green of Sunset (Moon Tide Press), and Dual Impressions: Poetic Conversations about Art (Silver Birch Press) with Jeffrey Graessley. 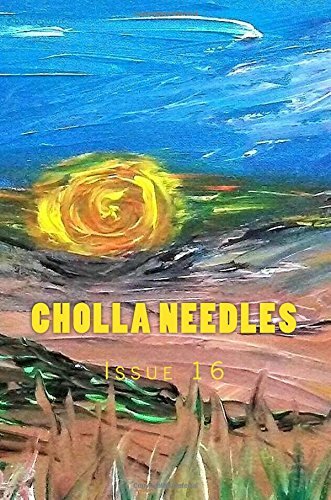 His collections of short fiction are Let Us All Pray Now to Our Own Strange Gods (World Parade Books) and California Continuum: Volume 1 forthcoming in 2018, a flash fiction collection that covers the entire history of California written with Grant Hier. In the summers, he and his wife Annie teach free art and writing classes in Sequoia and Kings Canyon National Park. From September 2018 until February 2019, he and Annie will walk the length of California teaching free classes in a number of state and national parks along the way. Find more information at www.thewalkingmeditation.com. Watch the adventures of Lizzy the Dog on this trip too. 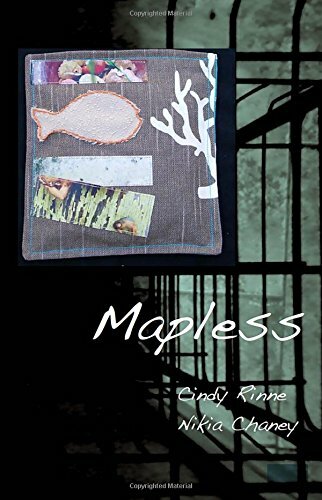 Mapless is a collection of myth, narrative, poetry, art and song that expresses the yearning of love. A stitched ghostfish is both mother and child, human and god, and finally connection. This collage follows the journey of the ghostfish through the ever shifting path of experience toward wholeness and joy. Space Cowboy, and Raven's Books. Support our local distributors! It's real - it's finally out, and what an exciting day for the world! I'll copy my review here; as well as link to the website; I just need to forewarn you - the publishers is marketing the book as a book about Cannibis. Well, That's like Saying Comey's book is about Trump, or Castaneda's books were about Peyote. Naw, marketing aside - this is a hard-core book of philosophy, with great laughs thrown in. So, buy it despite the marketing. You'll be much happier. He keeps writing books that won't let us sleep. For example, on every other page there's a small laugh. Sounds innocuous enough - but think about it. When I laugh I take in more air. More oxygen. As tired as I am it gives me enough energy to read two more pages, then another laugh, and - well it's endless. It's not like he's trying to be funny. He just is. He also makes sure to stop and make me think too. For example, he writes "let’s take a peek behind the writing curtain... Have you ever thought about words and what a miracle they are?" Sounds simple - but if you follow his advice like I did, and just stop and think! Yes! They are miraculous. And on top of that miracle, getting excited about the miracle of language causes me to wake up even more! It's almost like magic - I'm excited, get back to the page, and another wow on top of it! Well, this is a funny wow - but I was both excited and laughing - worth four more pages of staying awake: "...for the most part we’ve lost the magic of what it means to be able to put words on paper. There is a reason they call it spelling, because it’s a form of magic, it’s the ability to cast a spell over someone's mind." See, sneaky - he knows exactly what he's doing. How do I know that? 'Cause this is the second book I've read by him in less than a year and they both kept me up all night. He pulled the same great author tricks in Somewhere Out There In The West. Just peek at this trick: "He didn’t have to change his beliefs, he just had to take them to heart and actually believe in his beliefs, which can be harder than one thinks. " Yep. If that doesn't get your neurons wandering faster than normal, well what can I say. Jon is not changing his ways just so we can get our beauty rest. He doesn't believe any of us should sleep. But if he wants to make the NY Times Bestseller's list he'll take some sage advice from an old man. Jon, you're supposed to write books that bore you to sleep, and take a year to read. They're such a chore to read that people talk about the book every day for a year, and everyone thinks it must be great. If you keep writing books that really excite people they'll stop going to movies, stop sleeping, stop watching TV. You'll cause an awful change to the American way of life. The only good thing I can say is that thankfully there is only one author like Jon Christopher, and I can't wait to read his next book." 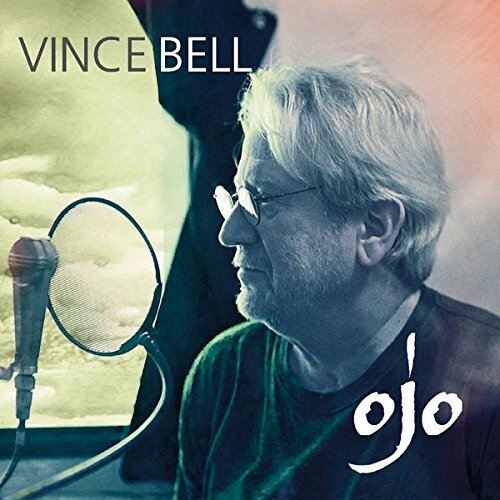 Vince Bell - New Spoken Word CD! A little poetry is dangerous. Keep your eyes up in the sky. Keep at it 'til the calvary has arrived. There's not a very lot of us, but then there never was. I can teach the dead to sing. Privileged to share the tears with you. First time it's art. Second time it's showbiz. Vince recites his poetry with a convincing depth of belief in his voice - he knows where he wants to take us, and pulls us in with total ease. As with all of his previous work, there are lines that jump out - sometimes in the middle of a poem/song/story, sometimes at the end - a great technique because it's an encouragement to start all over again and consider the previous words with this new information. A good example is "The hardest thing to do is nothing at all". Tender philosophies abound: "It's a good thing life is not as serious as it seems to the waitress." Invitations to live life to it's fullest: Take whatever you want. You can have what you find. Though you may leave nothing standing, the poetry is mine. 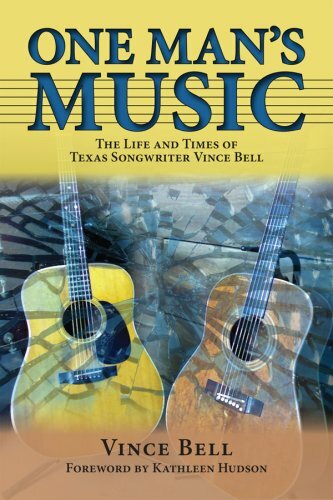 You may be tempted to think I "picked the best lines" from the CD to share here, and you'd be wrong - truly the whole CD is a listening experience, and I can also say that if this were a book of poems Vince was sharing with the world, I'd buy a copy of that also. As it stands now, he chooses to speak into our ears with some great musicians and singers supporting him. A special shout-out is due for Laura Cantrell for adding a touch of heaven to Vince's devil stance: if I was the Devil, you wouldn't know about it. April 8 Reading! You are the featured reader!